Originally from the North of Morocco, Morad grew up surfing the local spots in his hometown of Mehdia. After several years working there as a beach lifeguard and surf instructor, he came to Tamraght to work at a local surf school and never left. Sophie first came to Morocco in 2010, to surf and experience the area of Taghazout and it's world famous surf. After a week's stay, she was destined to return and did so over the coming years. She left Wales in 2012 to live in the South of France, but her itchy feet and memories of Morocco eventually lead her back, with no plan - just a one way ticket. ​4 years and one big Moroccan wedding later, we are living our dream together here in Tamraght. ​Tamraght is our home, and we love it for it's welcoming locals, way of life and - of course - its waves! Surfing brought us together, and we are excited to share our passion with you! We are a small, multicultural and multilingual team, here to make your stay with us in Morocco unforgettable. We love sharing our passions of surfing, yoga, food and exploring this magical country, and we can't wait to meet you! ​Morad is our head surf instructor and surf school manager. He is ISA Level 1 qualified and loves nothing more than sharing his passion for surfing and the ocean. He speaks English, German, French and his native language of Moroccan Arabic. With his patient and friendly approach, he creates a fun and inspiring atmosphere, giving you all the help and encouragement that you need to learn and progress. Ghazi is our residant surf guide and is passionate in helping you to progress to the next level with your surfing. He is a qualified beach lifeguard, and his fun loving approach and expert knowledge will help you progress in your surfing. Ghazi is also a competitive bodyboarder, ranking 2nd in his region. 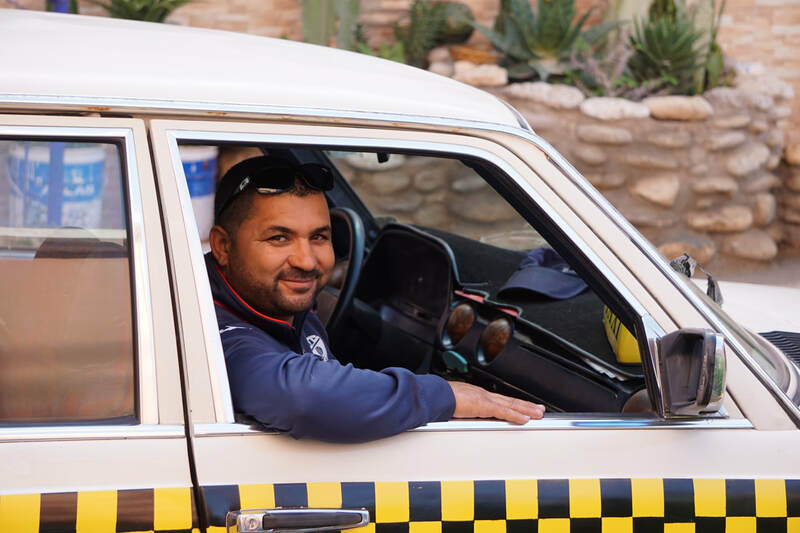 Aziz will be the first member of our team to welcome you into Morocco, with an Azrac Surf sign and a huge smile. Aziz is from our neighbouring village of Aourir and has been our Taxi guy since we started in 2015. Although not a surfer, he'll happily point out all the surf spots on the way to our guesthouse. Aziz can welcome you in the native Arabic, French or English. Sophie has been practising yoga since 2008 and is a qualified Master Reiki Practitioner. Her Yoga sessions are Anusara Inspired, with a strong focus on alignment of the body, mind and heart. Her local knowledge & language skills (English, French and Moroccan Arabic) combined with her love for surf, yoga and travel will ensure a memorable trip and a truly authentic experience of Morocco. With her infectious smile and delicious meals, you'll never want to leave! Fatima keeps our guesthouse cosy and clean and our bellies happy and full each day with her delicious homemade cuisine. Her warm hospitality will make you feel at home as soon as you arrive. You can learn all the secrets to Moroccan cuisine with Fatima on our Moroccan cooking experience. We adopted Bella in October 2018 from our friends at Morocco Animal Aid, who saved her from the streets, gave her a home and took amazing care of her. Bella is now our family pet, and she loves nothing more than running along the beach, playing in the waves and hanging out with everyone at the beach.